From the Natural Mumma blog: I’m delighted to welcome the inspirational author and activist Thais Nye Derich to the site. Thais’ new memoir Second Chance: A Mother’s Quest for a Natural Birth after a Cesarean offers an honest and encouraging look at vaginal birth after c-section. Thais’ work really resounds with me because it is all about listening to your instincts. 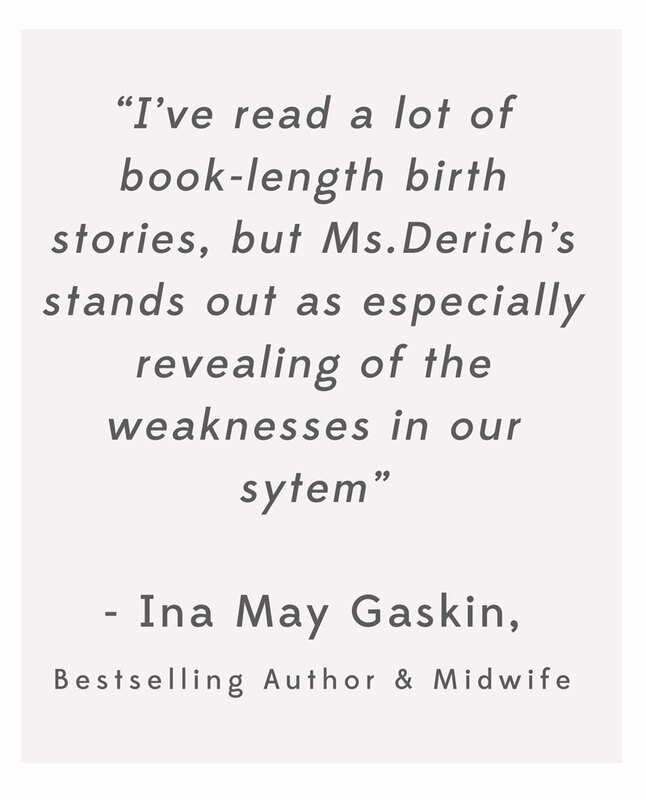 Through her wonderful blog and her upcoming book, she informs and inspires women, helping them to feel in control during childbirth. Here she talks about the delivery of her first child, and how childbirth can be a journey of self-discovery. When I started planning to have a natural birth after delivering my first son via cesarean, I was up against a lot of backlash due to the increased perceived risk of a natural birth after a C-Section. Meditation and visualization kept me centered and strong in my conviction to birth my second child the way that I wanted. For me, giving birth naturally meant more than just avoiding a painful and unnecessary surgery. It meant being empowered to make informed decisions about my pregnancy. It meant honest communication between my maternity care team and myself. Most of all, it meant listening to my instincts, and learning trust in my own body. Watch the official booktrailer for Second Chance. "Why did you leave, mom?" Thirty years after she disappeared, I did the unthinkable -- I called my troubled mom to find out her story. The first link that comes up on my Internet search is a mug shot of my mother in an orange jumpsuit, hazel eyes wide open like she’s trying to look less drunk. Her skin is smooth and tight. Only the thin white hair fanning around her face gives away her 70 years. The arrest report is from 2003. The reason: driving under the influence. I’m relieved it’s not something worse. "How to avoid a cesarean that you don’t want?" Before I can shut my eyes, I see the details around me. The room looks a lot like the ones on TV. This is where people’s hearts stop and surgeons talk about expensive restaurants while taking out organs. A nurse straps a tight Velcro belt over my chest and then ties my wrists down with two smaller straps. "The Lisa Epsteen Story: Is Medical Inaction a Crime?" Lisa Epsteen’s baby boy was born healthy via cesarean section days after her doctor threatened to drag her to the hospital in handcuffs and put her four other children in child protective custody. Thais Derich Reading "Mom CEO"
Sitting on my side of the bed, in the same spot where I had just given birth the day before, I began to write. The pile of bloodstained sheets still stacked in the corner of my bedroom. I meant to write about how I went from an unplanned cesarean to a home birth and lived to tell about it. "The Magic of Eating a Banana"
Nate is six months old when his pediatrician tells me that I can start feeding him solids. I am so excited to offer him something besides rice cereal that I run down to the store with him to buy a couple of baby-food jars. He bounces close to my body in the baby carrier. week past my due date with my second child, I’m slowly climbing the front steps of my San Francisco apartment. My eyes hardly move from my feet. The rhythm of my squeezing belly paces my steps. I remember how greatly I was misinformed before the birth of my first child, three years ago. Women have been giving birth forever, I thought; how hard could it be? My heart pounds. The brick steps up to my red front door seem never ending. I’ll go to a birth class and study birth books; spontaneously begin labor; go to the hospital; and then, the baby will just come out. I stop and grip the railing. But things weren’t fine. I begin slowly climbing again. This time, I’m going to trust my own body. KPFA Interview: Jovelyn Richards Interviews Thais Derich on "Cover to Cover"
thais speaks about her story and the intersection between birth and social justice.